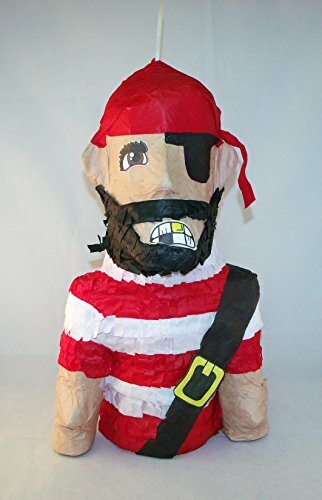 This Pirate pinata is created from Paper mache and decorated with tissue paper. It measures 17 inches tall and 9 inches wide. Fill the pinata with candies and small trinkets. Hang it up at your next party or celebration. Let the children whack it with a stick until the candy and gifts fall to the ground. A fun addition to any party! B00WGSQQC0 is not a valid value for ItemId. Please change this value and retry your request.